Custom Flags can be a great way of grabbing the necessary eyeballs, while in a market, driving a car, walking on a beach or attending a local event. Today, it is not rare to see flags fluttering around asking for a passerby’s attention. Just like in internet or television where it does not matter whether a user or a viewer is interested in seeing the advertisement, with custom flags, people end up noticing. If the person has been your customer, they will recognize your logo, and others will at least notice it and chances are that they will seek your products and services. Effective advertisement is one that can convert a passerby into a customer. Publicity is the reason behind companies and brand owners financing various events. They are often found to advertise their products at local events and stores, chiefly by sponsoring them. So, you can understand the level of competition at these places. Hence, in such places, an effective form of advertisement is a must, in order to stand out and attract attention. Internet and television have undoubtedly been two of the best forms of advertisement, but nowadays custom made flags are a rage. If you compare it to television, internet, newspapers and radio, you will find that custom made flags are a far more affordable way to publicize your products and services. You can easily have them customized according to your taste and requirements; the logo and design can be specified by you. If you have been advertising your product and services for a long time now, you would obviously understand the importance of cheap yet effective form of marketing that can actually generate awareness among your target customers. A customized flag can meet all the purposes that you want your marketing strategy to do. 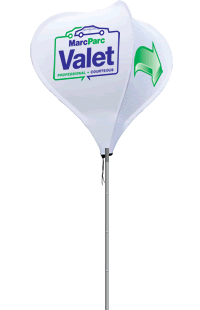 The flags can be available in a wide range of sizes and shapes and fulfill all your publicity needs. The option of various sizes and shapes allows you to choose how you want your message to be presented before your target customers. 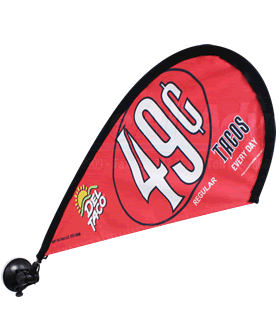 You can either choose to get your message or logo printed in the flags or you can simply get several custom flags with your brand name so that it makes an impression on the minds of your potential buyers. The banner should undoubtedly be colorful so that it attracts attention. Flags are easy to memorize. Its eye catching graphics and images keep on lingering in the subconscious mind of the people. This is a great way to build the image of your company and brand in front of your target consumers, thereby enhancing its productivity. Compared to the other forms of marketing, customized banners are easy to make. All you need to do is develop a concept and submit it to the flag-making companies. This way, you get to advertise your services and products in your own unique way. So, if you are into a business that has been struggling to grab the desired attention of customers, you may choose custom made flags to do so.